The building you want to take on may be run-down and need refurbishment; you may want to improve your current premises, or you would like a new build to get purpose-built premises. Finding the funding and then planning and managing building works can be very demanding. It is vital that you keep a tight control of costs to avoid them spiralling out of control, and it is important to choose the right professionals and building contractors for the job. 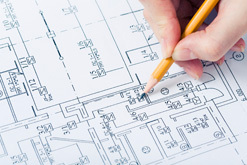 How is a building contract structured. What does it mean if the funder wants to put a charge on your lease. Building Assets offers expert services to ensure your organisation manages the activities involved in improving your premises efficiently, smoothly and cost effectively. You are invited to contact Janet Keighley on janetk@building-assets.co.uk to discuss how we can work with you. We focus on helping you to identify and to make the most of the opportunities available, to overcome any obstacles and challenges. We also provide a range of resources on this website to support you with improving your premises. Our resources, and many of the other resources are available free; some external resources have a relatively small charge. Construction and renovation projects Useful information from Farrer’s Charity Property Seminars, 2014. Improving your premises may involve alterations or changes in how you use the space. See this guidance on the legal issues around Changing the occupation or use of your property to find out about the things you need to consider before making changes. Keeping control of costs during building works is vital.